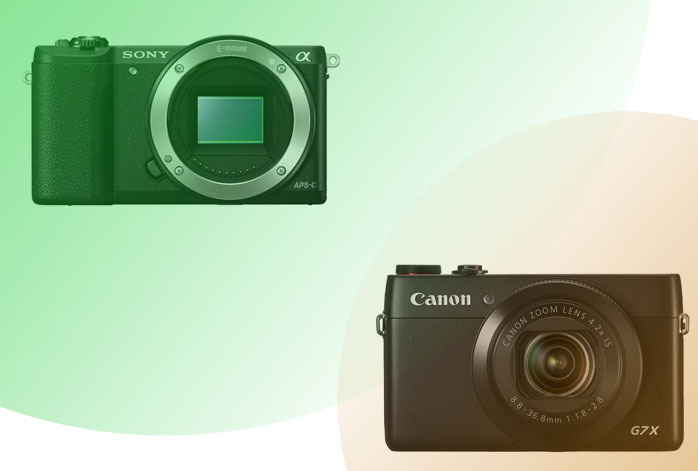 Ah, are you having difficulties in choosing between Sony a5100 and Canon G7X? Of course, the task can be somewhat tricky, since both models are available at very similar prices. You can get either fo them with a budget around five hundred bucks. Almost like Fujifilm X-A2 in our previous article, Canon G7X has a nice flash performance with a long coverage area. Well, does it mean that Canon G7X is a better choice? Or, does Sony a5100 has more strong points that make the famous product once again unbeatable here? Read on to find out! As tacitly mentioned before, Canon G7X can have a better flash performance than Sony a5100 due to a longer flash coverage. It has a 7-meter flash coverage while Sony a5100 only has a 4-meter flash coverage. Additionally, it has a built-in ND filter, which makes the aperture larger under strong light. This is very handy if you need to shoot under some bright conditions. Canon G7X also has built-in optical image stabilization that can enhance the sharpness of images at long focal lengths and exposures. Last but not least, Canon G7X’s continuous shooting speed is slightly higher than Sony a5100’s (6.5fps vs. 6.0fps). While Canon G7X has made a considerable strong ground, Sony a5100 holds various key features and specs that can make it even better than its contender here for general usage. First, it comes with a more powerful image sensor that has a maximum resolution of 24 MP (Canon G7X’s is only 20.2 MP). Besides offering larger, sharper, and more detailed images, Sony a5100 also comes with much larger pixel area and better color depth. As the result, it can deliver more accurate colors. You can also make more precise adjustments to the larger ISO setting and higher maximum shutter speed. Last but not least, Sony a5100 comes with the NFC technology for quick and effortless file transfer with compatible devices. In general, you should choose Sony a5100 for its overall better performance and image quality. With a higher maximum resolution and more extensive settings, not only Sony a5100 can deliver better results, but it is also more versatile for various purposes.